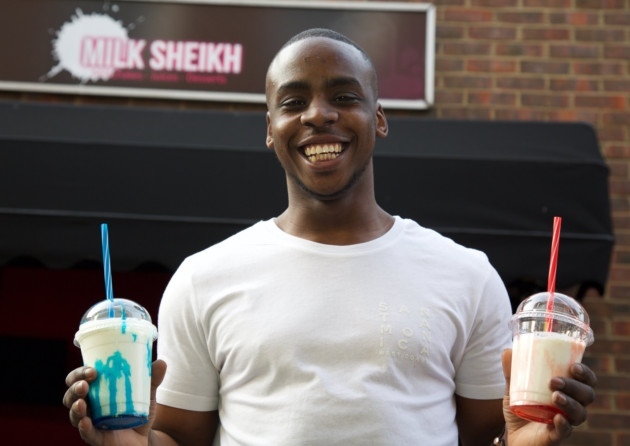 Prince Wasim, who lives on Kilburn Lane, opened Milk Sheikh in Tavistock Road, this week to give young people a place to go and deter them from crime. The 23-year-old said time spent in prison for driving offences forced him to spend time alone and reassess his life. He said: “I’m a changed person. I got kicked out of school and went to a pupil referral unit but I’ve still made it, got a degree at uni. Growing up with his mother, a tailor and father, who owns a community centre and two siblings, Mr Wasim, attended Wilberforce Primary School in Queen’s Park, before attending North Westminster School, followed by John Kelly, now Crest Academy, and finishing in a pupils’ referral unit. After he graduated fromOxford Brookes University with a degree in international business and finance, he started “buying and selling cars” before he ended up in prison. After reading up on entrepreneurs such as Richard Branson and Lord Alan Sugar, Mr Wasim opened Milk Sheikh, serving waffles, crepes, deserts and many varieties of milkshake. He said: “Harlesden doesn’t have anything like this. “People go to Crème in Wembley, there’s nowhere else round here. I’m not a chef, but this is easy. “A lot of school children come in and I get into conversation with them. It’s a place for them to go. They see rappers and think all that sort of stuff is glamorous and cool.